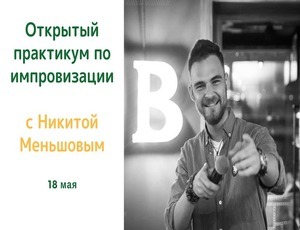 Nikita Menchov will hold an open workshop in Bishkek on improvisation in acting and its implication on real life, business and career. Explore ​​emotions and drive and activation. Improvisation is one of the most fascinating, the most complex and, at the same time, the most interesting and modern aspect of theater and acting. It’s the art of making stories from scratch. The highest point of manifestation of all three components of a professional actor is intelligence, fantasy and the ability to be in the moment. The Language of the seminar is Russian. You can find video testimonials on VK.